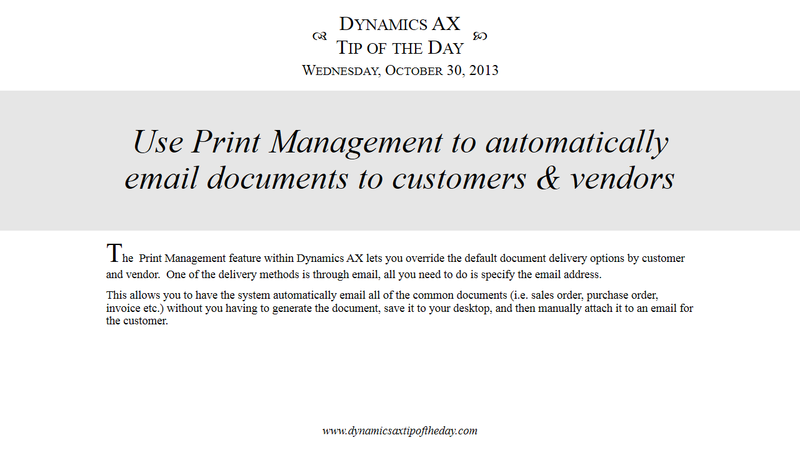 Step 2: Right-mouse-click on the document that you want to change to an e-mail delivery and select the Override option from the context menu. 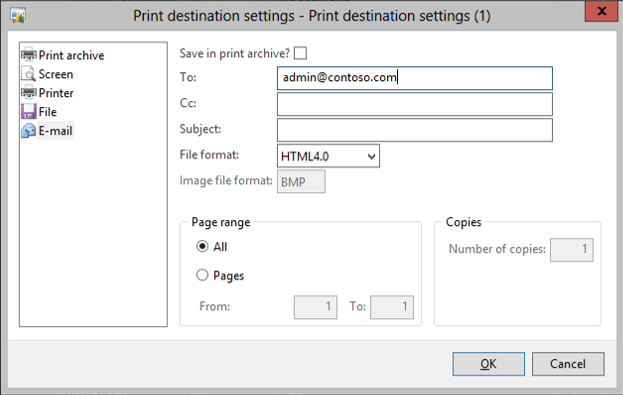 Step 4: When the Print destination settings dialog box is displayed, you can select the Email option, and specify the default email address to deliver the document to for that customer. 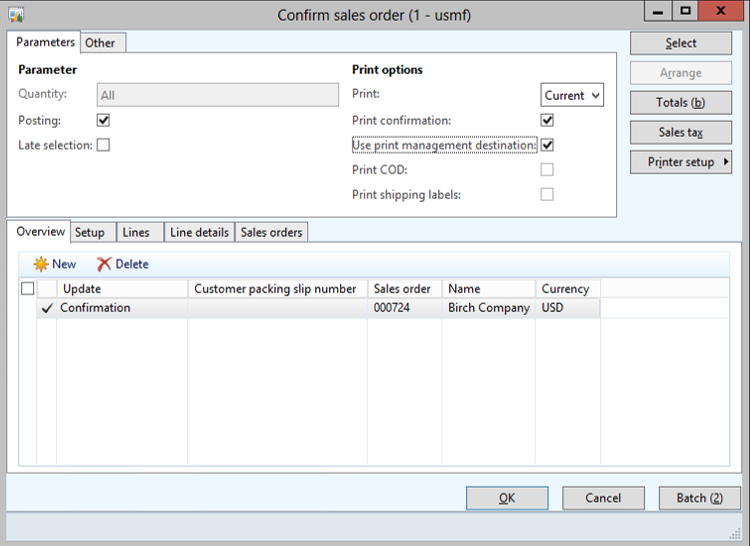 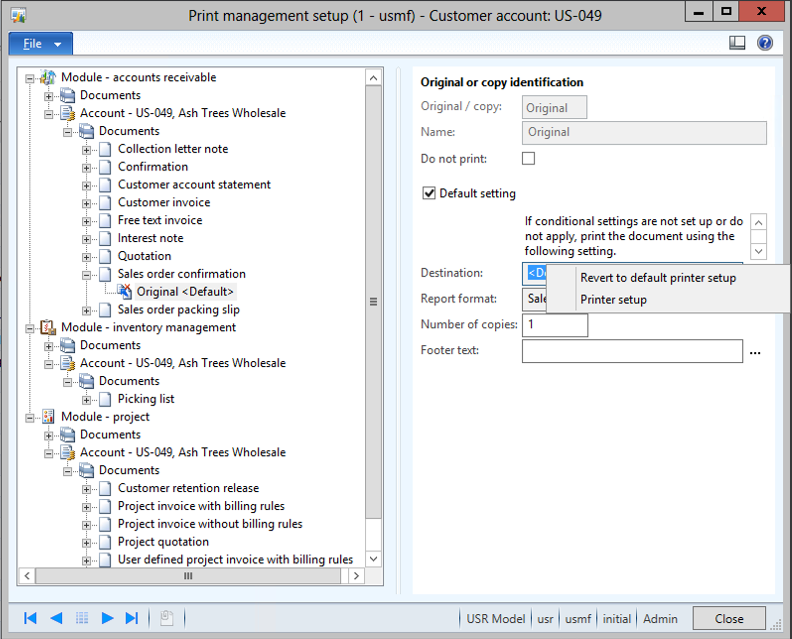 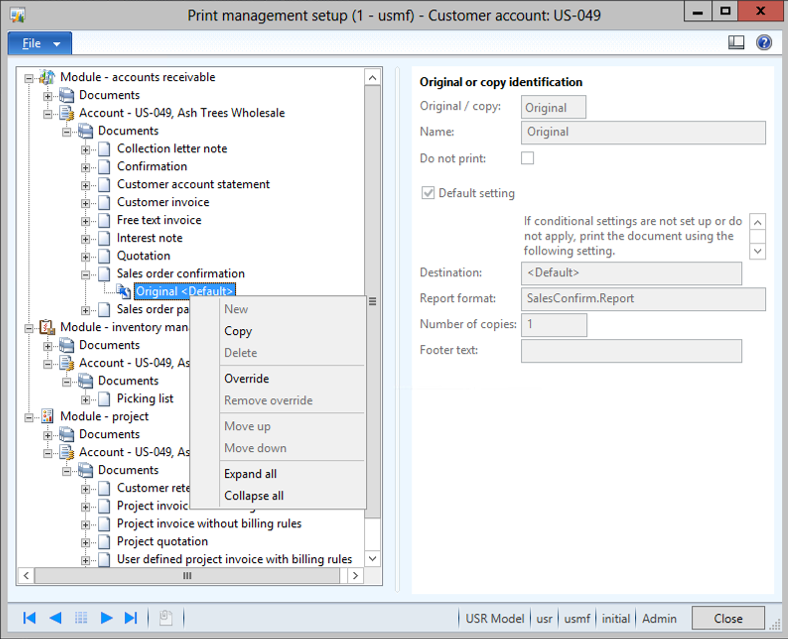 Now when you print out the order confirmation, select the Use print management destination and the defaults that are defined against the customer will be used and your document will be automatically emailed to the customer.